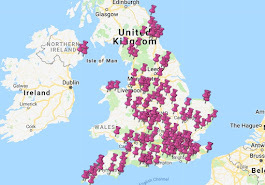 I'd like to say a massive, massive, heartfelt THANK YOU to all of you that have bought a copy of the Book of Scones. I am so very grateful to you. I can honestly say, though, that you have made a canny investment. 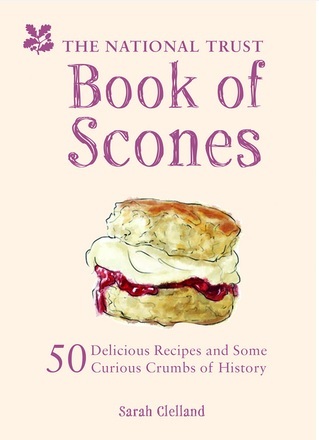 The Book of Scones is more than just a book containing 50 scone recipes and some crumbs of history. It's like that scene towards the end of Harry Potter where his mum and dad and Sirius and Remus all appear to him in a wood and say "WE ARE WITH YOU - TO THE END". That's how I see the Book of Scones - whenever you pick it up, 20-odd National Trust scone bakers appear in your kitchen speaking words of wisdom, such as "work quickly - scones prefer it that way" and "don't twist as you cut - it stops them rising". Unfortunately the bakers do not hang around to clean up your kitchen. I decided to put my money where my mouth is and bake all of the scones in the book. Here are my first five bakes. They were all, without exception, absolutely delicious. There was an extra ingredient in the G&T scone: beginner's luck. The scones rose beautifully and I've yet to see it happen again. They tasted like a warm and cosy armchair on a cold night. Even though it was June. The surprise package of the Book of Scones. They were absolutely stunning. I think my dough was a bit too soggy, hence they look like buns, but the fruit and the tea are an incredible combination. I urge you to try this one. THESE ARE MEANT TO BE FLAT! Stop sniggering! Trying to find some lard in West London was harder than I expected, but I'm glad I persevered - these were a revelation. Look, it was very late and I was tired. I had diligently chopped up loads of walnuts, sending walnut knobbles all over the kitchen, but then I absent-mindedly plomped the lot into the mixture and didn't save any for the tops. I couldn't face more chopping. So big chunk o' walnut for decoration it was. They were absolutely lovely. I recommend that you make double the amount of caramel sauce for the topping, because if you're anything like me then you'll need to test the caramel fifty several times before you deploy it. They tasted incredibly appley. Delicious. So there you have it - the first five bakes to prove to you all that anyone can bake a scone. Look out for the next five attempts and remember to send me your scone bake pictures!